Magdalena Stobińska received Ph. D. degree from the University of Warsaw in 2007. Between 2007 and 2012 she was a postdoc and the Alexander von Humboldt Fellow at the Max Planck Institute for the Science of Light and the University of Erlangen-Nuremberg (Germany). In 2012 she returned to Poland and commenced international research projects hosted by the University of Gdansk and Institute of Physics, Polish Academy of Sciences: Marie Curie Career Integration Grant (EU 7th Framework Programme), National Science Centre – “Harmony”, Ministry of Science and Higher Education – “Iuventus Plus” and Foundation for Polish Science – “Homing Plus”. From 2013 to 2015 she performed as a member of the Young Researchers’ Council. In 2015 Magdalena Stobińska obtained habilitation degree based on a series of publications entitled “The Analysis, Characteristics and Detection of Nonclassical Properties of Macroscopic Quantum States of Light. 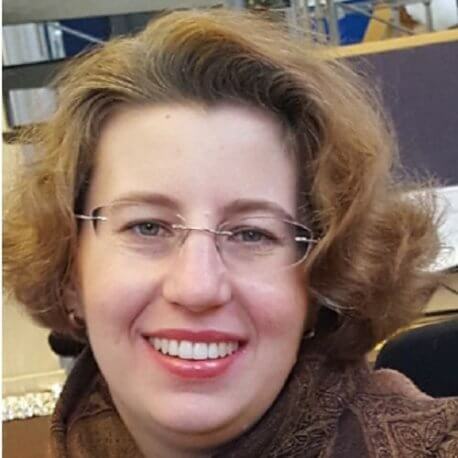 Experimentally-friendly Theory.” Since 2017 she works at the University of Warsaw and leads the Foundation for Polish Science research project “First Team” entitled “Integrated optics in time-frequency domain: a new versatile platform for quantum technologies.” Dr. habil. Stobińska is also a laureate of the Scholarship for Outstanding Young Scientists. Dr habil. Magdalena Stobińska leads a research group on quantum technologies and specializes in quantum optics and quantum technologies, especially in quantum integrated optics and quantum information. She is a visiting professor at the Department of Physics, the University of Oxford.